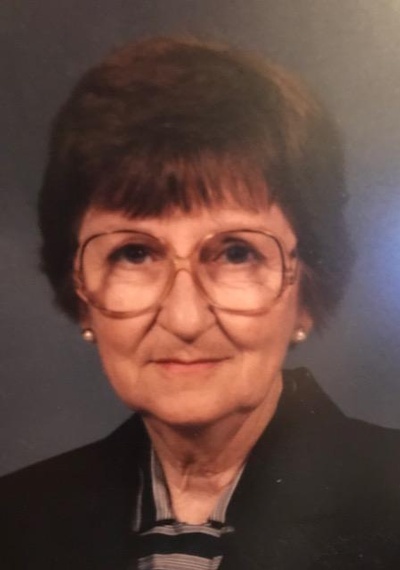 Mrs. Tommie Hargrove Airheart, age 85, passed away at the Kemp Care Center, in Kemp, Wednesday, September 5, 2018. She was born to Emory B. and Berdie Martha Goodwin Hargrove in Wolfe City on February 6, 1933. She married Robert Lee Airheart September 25, 1950 in Kaufman. Tommie was a loving wife, mother, aunt, grandmother, and great-grandmother. She is survived by her son Terry Lee Airheart and wife Debra of Kemp, six grandchildren including Laura Hill and Jennifer Fojt, numerous great-grandchildren, son Gary Airheart and daughter Sherry Brown. She was preceded in death by her husband, parents, two sisters and one brother. Mrs. Airheart was not only a homemaker, but she also worked as a nursing assistant at Terrell State Hospital. There will be a graveside service on Saturday September 8, 2018 at 11:00 A.M. at Mt. Carmel Cemetery in Wolfe City. The service will be conducted by Brother Joshua Hebert of Calvary Baptist Church of Kemp. The family will receive friends starting at 10:00 A.M. at Owens Funeral Chapel in Wolfe City.